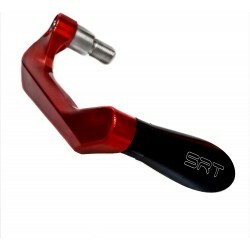 The SRT handlebar stabilizers are made of premium quality aluminum alloy, are machined from solid bars, with precise machining and impeccable finish. The KR2 handlebar stabilizers create a decisive gap between knobs and counterweights, the rounded shape "closes" the handlebars and the holes on the final part complete the look giving a "racing" touch to the bike. 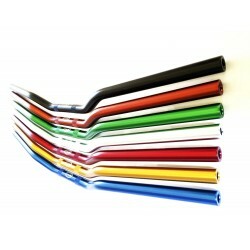 The SRT handlebar stabilizers are made of a special aluminum alloy to ensure excellent workmanship and a bright and bright color even after many years, in fact all our handlebar stabilizers are treated by anodizing process which, in addition to giving it a beautiful color, protects them time from oxidizing weathering agents. 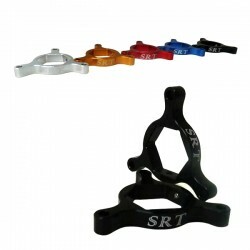 SRT manufactures handlebar stabilizer applicable to handlebars or half-handlebars of all naked or sports bikes that have a final hole with a range from 12 mm to 19 mm through. 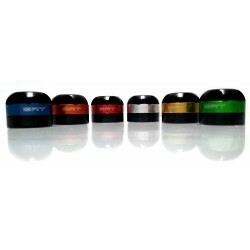 A piece specially designed for these models ensures a high grip that, if correctly mounted, prevents the loss of counterweights. 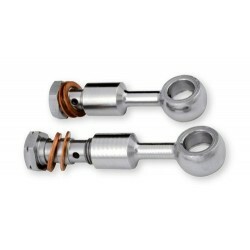 The assembly kit also includes steel bolts. Ottima assistenza clienti e ottimi prodotti, davvero di qualità elevata! Grazie davvero! con il manubrio della rizoma che montavo già, ottimo prodotti curato e ben realizzato. 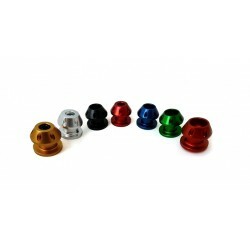 Stupendi, montati sulla mia hornet 600 con maubrio originale, nessun problema.